The good news is that while home sick, I was here to sign for my new lens from the UPS guy. swear it was divine intervention that my other ones got stolen, because this new one shows me how sub-par other ones were... They were third party kit lenses, which are usually made with plastic optics and have other shortcomings. Anyway, this new lens is amazing. 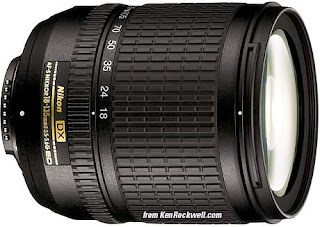 It's a Nikon 18-135mm; is very fast to focus and it captures gorgeous color and clarity... The interesting thing is, had I not made that blunder and lost my other lenses, it may have been a long time before I bought a quality lens or two. This lens will also allow me to make the most out of my home space, since the wide angle setting will compensate for the space... I can't wait to use it.